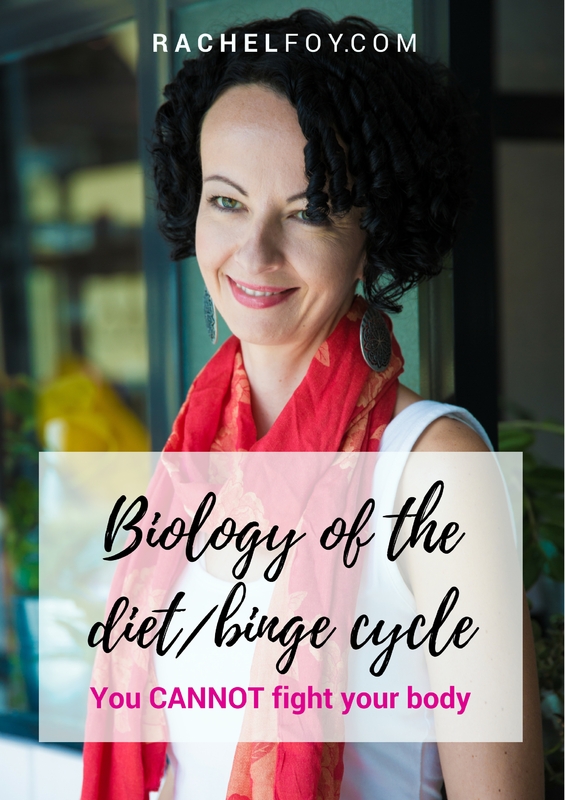 What I didn’t know then and which I think is really bloody important that YOU know now is that our desire to binge is actually rooted in the biology of how our body works. It is something which we have absolutely no control over, despite what we think and despite what we try. Willpower has nothing to do with it. The more you restrict, the more your body will biological cause you to binge. The more you can allow your body to eat based on hunger and allow yourself to eat whatever you truly desire, is the best way (and arguably) the only way to break this cycle of binging. Just head over to http://www.rachelfoy.com/5stepsbook to get it.